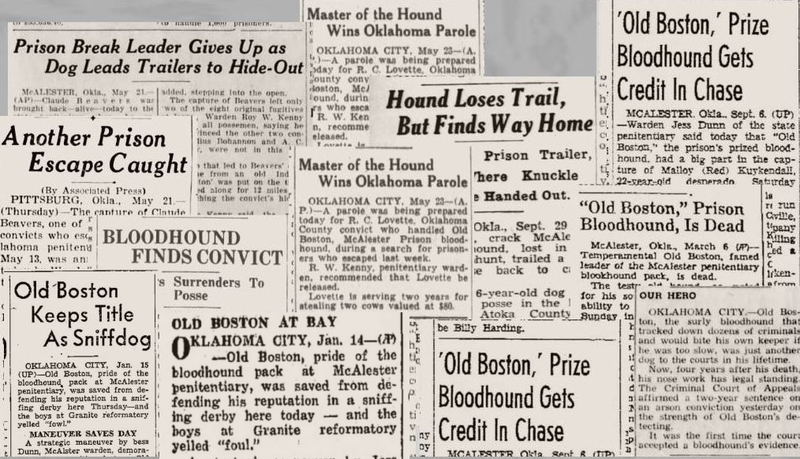 A Call Goes Out To "Old Boston"
Once Bloodhounds are on the trail of the fugitive, they are hard to call off, as they are determined to finish their task. 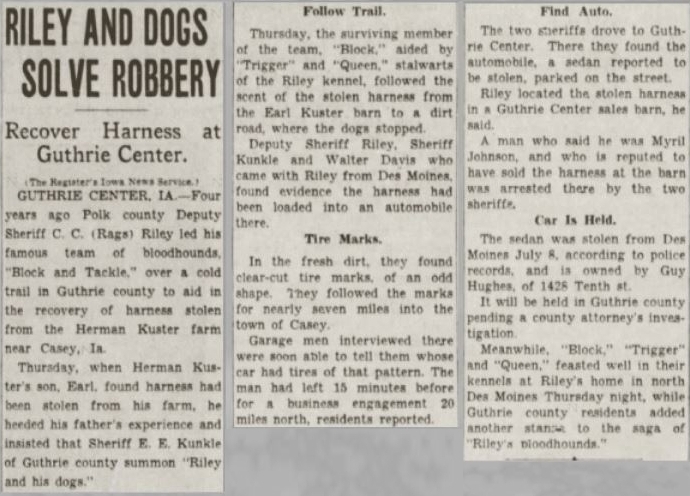 The distant sound of their baying, howling or barking, often causes the convict's heart to begin to race out of his chest! 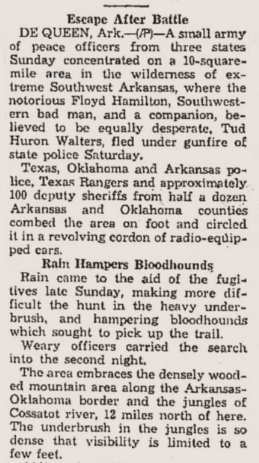 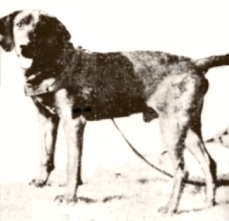 The most noted of these manhunters in the Bonnie and Clyde and Hamilton and Walters sage, are "Block" and "Tackle", the prized Bloodhounds of Deputy Sheriff C.C. 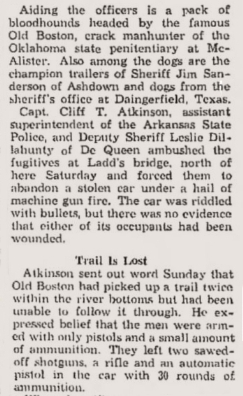 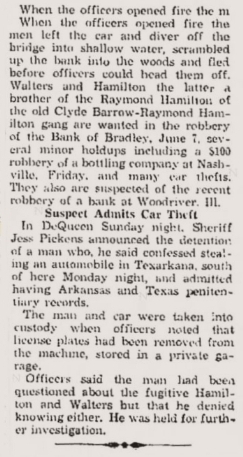 "Rags" Riley at the Dexfield Park fugitive hunt, and "Old Boston" - crack manhunter of the Oklahoma State Penitentiary at McAlester, who was put on the trail of Floyd Hamilton and Ted Walters, who were on the loose. 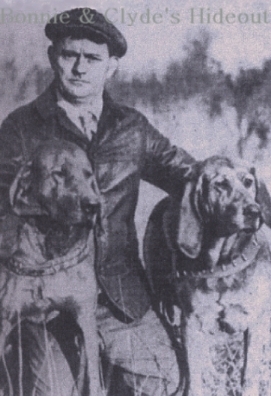 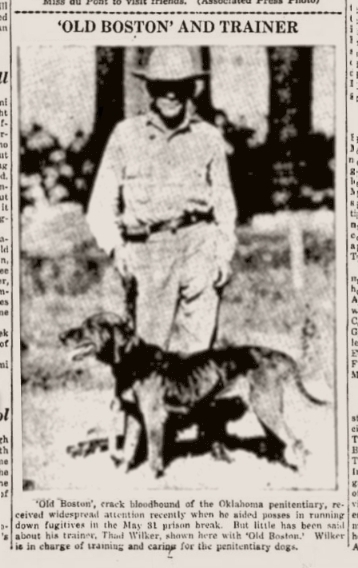 In Dexter, Iowa, seen posing with his prized Bloodhounds "Block" and "Tackle"